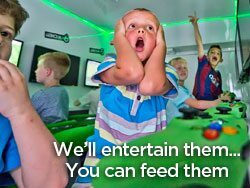 The iBox is a self contained video game bus (20′ long) which can be hired out for various lengths of play time either at your home or at a family friendly venue. 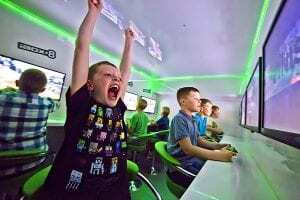 It’s kitted out with 9 x 27″ HD screens, Xbox’s and seats. This then enables 9 players to compete against each other in their favourite games at the same time, in the same battle, race or team event. You don’t need much imagination to guess that this is creates a lot of fun, and a lot of noise, we wouldn’t want it any other way. 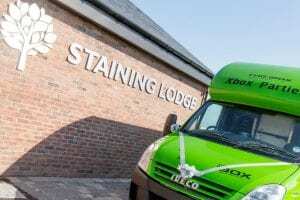 We have been established since 2011 and have vehicles already in the North West. We can now travel all over the Yorkshire to your location from our WF6 base covering all areas around Grimsby including: Scunthorpe, Cleethorpes, Waltham, Humberston, Great Coates, Healing, Stallingborough, Laceby, Keelby, Immingham, Barton upon Humber, Brigg, Broughton, Scotter & Messingham. Fifa League. 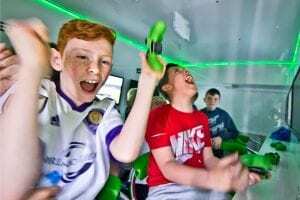 This will determine the ultimate Fifa player, our Fifa party is ideal for birthday parties or for a Junior Football team. The league holds a maximum of 11 players. 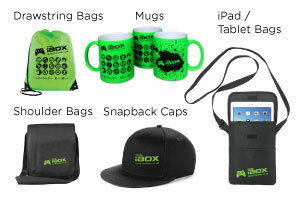 Everybody plays everybody once, and just like the Premier League you score 3pts for a win, 1pt for a draw and 0pts for losing, goal difference counts, and the winner of our iBox league wins a choice of prize. A 9 player league will take 60 mins, an 11 player league will run for 90 mins. Any additional time left over can be used for a choice of multiplayer games. We can tailor your league to be Premier League Derbies or set it up as Internationals. You might of course insist on Grimsby Town or Scunthorpe United. 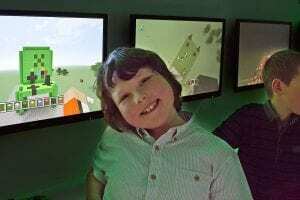 Minecraft parties are very popular with younger children (ages 7 upwards), it is also a party that suits girls too. We have created a series of challenges to test your little creative builder. Whoever finishes the challenge first scores higher points. There are also building challenges and a creative challenge, these rounds are judged and points awarded. 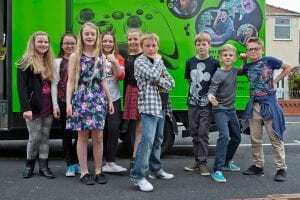 The minecraft party runs for about 45 – 60 mins depending on age and ability, this then allows us to utilise any left over game time on a selection of Multiplayer games. The player with the most points wins a choice of prize. Please click here to see our info regarding Fortnite – Battle Royale (Fortnight).